A few days before the U.S. Government Printing Office History Exhibit opened in 2011, one of our maintenance supervisors brought a man whom he introduced as his father in to the new main room of the exhibit area, looking concerned. It seems that the dad, a GPO retiree, had been on his way to the credit union, via our auditorium, Harding Hall, and was upset when he found the General Pershing Linotype, on display there since the 1950s, gone. He hunted up his son and demanded an explanation, and heard that it had moved a few weeks earlier to the new exhibit area. The Model 5 was a workhorse machine, introduced in 1906. The General Pershing had been bought in 1911 from a dealer in Paris by a newspaper in Chaumont, France. The machine was requisitioned by General John J. Pershing’s American Expeditionary Force when the U.S. joined World War I in 1917. It was refitted to cast American type height and with an American (ETAOIN SHRDLU) keyboard and became part of the 29th Engineers mobile printing battalion, which at first operated from Camp Babcock in Chaumont (known to its occupants as “Pneumonia Hollow”). 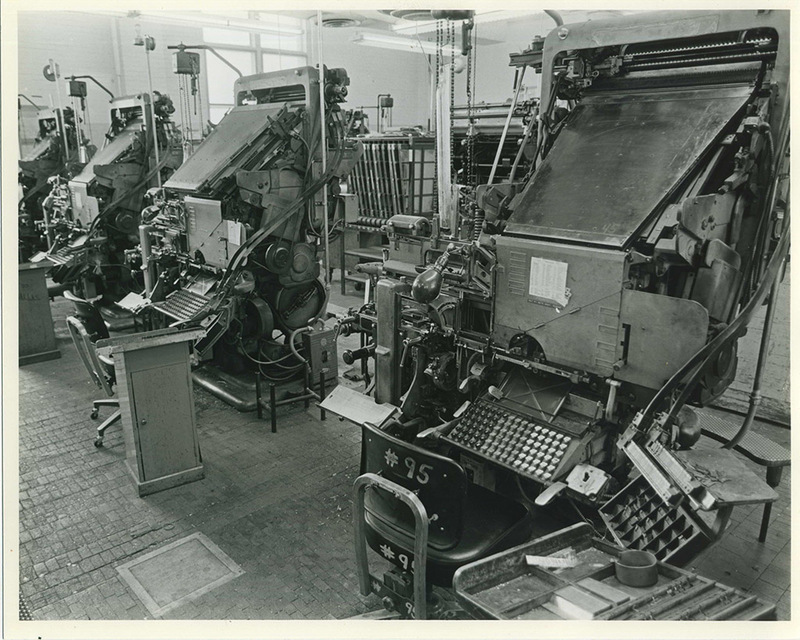 The printing battalion was later motorized, with the Linotype, presses, and gear mounted in a train of heavy trucks which followed Pershing’s headquarters through the remainder of the war. Following the war, the machine and its operator, Cpl. 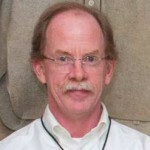 James M. Kreiter, came back to Washington and GPO to spend the rest of their working lives in The Big Shop. In 1936, Kreiter and the Linotype traveled to Cleveland to represent GPO at the American Legion annual convention. 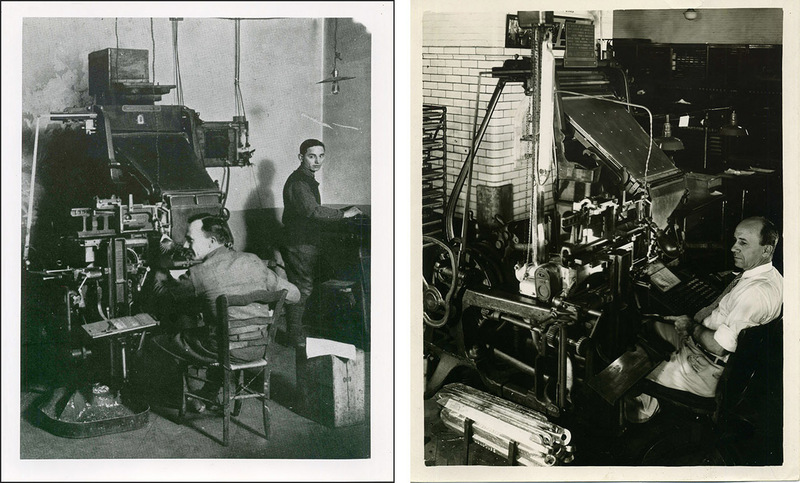 ( See https://printinghistory.org/gpo-star-linotype/ )Kreiter retired in the late 50s, and, after a final stint in the Apprentice School, the Linotype was moved to Harding Hall as a memorial to GPO’s World War I veterans. Having joined the history exhibit in 2011, the General Pershing Model 5 is the last remaining machine from the largest battery of linecasting machines in the world. November 11 is the is the one hundredth anniversary of Armistice Day, marking the cessation of hostilities between the Allies and Germany on the Western Front of World War I, which took effect at 11am—the eleventh hour of the eleventh day of the eleventh month of 1918. My first job in the newspaper business was as a printer’s devil. 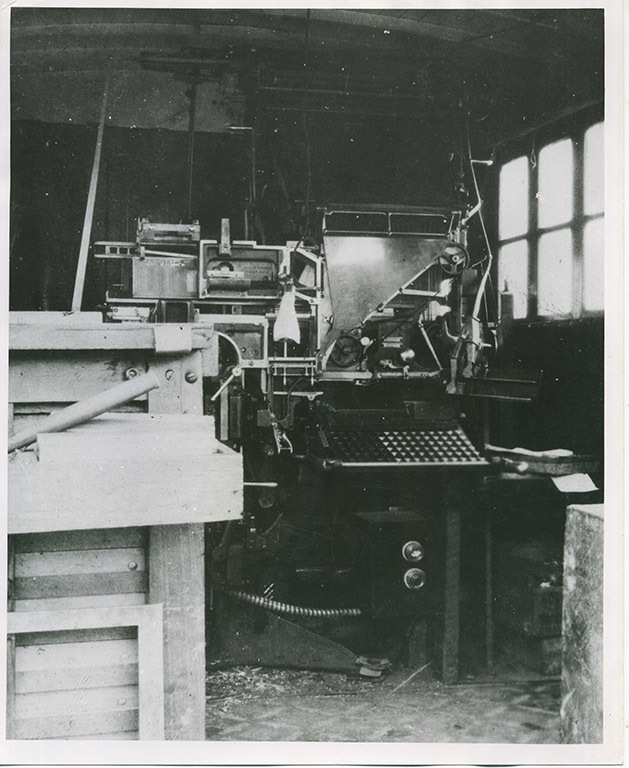 One task was collecting all the used, column-width lines of type, melting them down in a furnace, and filling molds with the melted metal to make new “pigs” that hung in the linotype machine to make new type, like the ones you see to the left of the machine pictured upper right at the top of the article. I still have my Dad’s “Kk” key which was made into a key fob when the linos went away.